Karachi(September 14, 2018): Sindh Home Department has imposed a ban on swimming at beaches of Karachi for 30 days starting from Monday (September 17). The ban on swimming in the sea is normally imposed on the eve of any big occasion such as Eid, Independence Day, Eid Milad-un-Nabi and Youm-e-Ashura to avoid any untoward situation. Ashura will fall on September 21 (Friday). This should be noted that over 30 picnickers drowned in rough seas of Karachi during the Eid holidays in 2014. 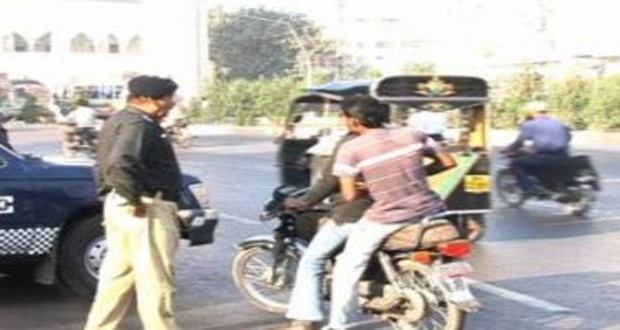 Earlier, the Sindh government banned pillion-riding across the province for three days as part of its measures to provide foolproof security to Muharram processions and gatherings. According to a notification put out by the provincial home department, a ban on pillion-riding will commence on the eighth of Muharram-ul-Haram and end on 10th of the month. A ban has also been placed on the public display of weapons and the use of loudspeakers without permission, according to the notification.